Besides the main exposition “StandPoint” two more exhibitions of Ukrainian and Polish photography will be opened within the main program. Seeing smiles of the photography heroes, we ourselves smile. Convinced that the presented situation is an idyllic family portrait. In just a moment, we begin to realize that the picture is not as it seemed a minute ago. Was it the same before getting into her art studio? She is attracted to American photography from the 1950s and 1960s, featuring happy families, couples in love, funny and cheerful party mates. Probably the vast majority of these scenes were staged to duplicate and confirm the American myth in which everything goes smoothly, the flawless reality creates smiling faces and perfect relationships. Thanks to the effective digital processing, Weronika Gesicka creates confusion. Not only does she cast doubt on the presented scenes, but also asks us – viewers, about family relationships or their absence, about identity, loneliness and needs – regardless of the time and place in which we live. In her works we see the world and ourselves, as in a crooked mirror. The kaleidoscope of wonderful scenes completes part of the Collection of eloquent objects. Everyday items, embodied by Gesicka, originated from her inspiration and her own experience. For the viewer, however, they are impersonal, and due to this, it creates a universal struggle with different types of stereotypes, phobias, fears and fetishes. One can not look at the works of Weronika Gesicka dispassionately. We smile again. Gesicka amuses us with her visual efficiency – extremely accurate photomontage and carefully processed objects. Forsaking us with reflection, it provokes us to set ourselves in her story. Works presented at the exhibition come from the following cycles: Traces (2015-2018) and Collection (2018-2019). Сurators of the exhibition Maga Cwielukh, Katarzyna Sagatowska. Curatorial talk “Memorial works of Weronika Gesicka through the prism of Polish and Ukrainian modern photography” held by Katarzyna Sagatowska and a British curator Max Houghton will take place at 14:00 on April 19, at Impact Hub Odessa. Weronika Gesicka, born in 1984 in Włocławek (Poland). Graduated from the graphics department of the Academy of Fine Arts in Warsaw and the Academy of Photography in the same city. Weronika is doing projects about memory and its mechanisms. She is interested in the scientific and pseudoscientific theories, mnemonics and various disorders concerning it. Her main field of activity is photography, but she also create objects and artifacts, often in collaboration with craftsmen and sometimes with other artists. An important part of her art is working with archive materials of various sources. These are both image banks or images found on the Internet and police archives or old press photography. 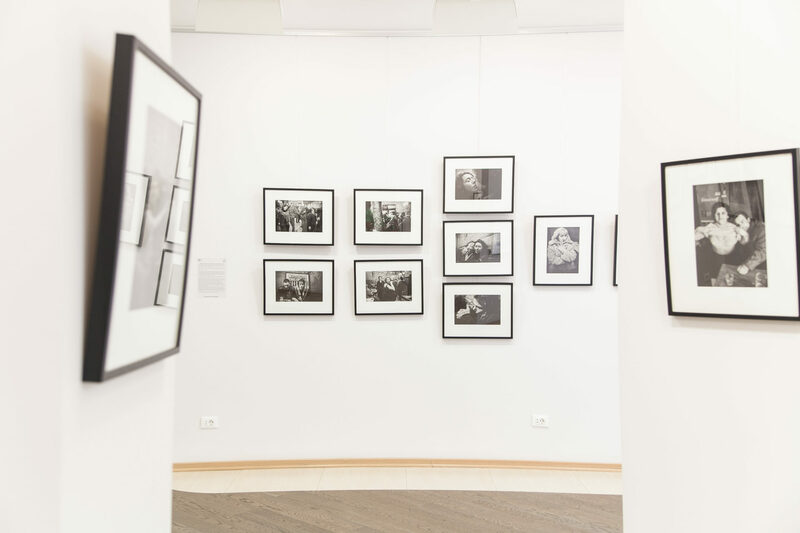 One of the organizers of “Transit” exhibition is MOKSOP — the Museum of Kharkiv School of Photography, which started its work in Kharkiv last year. 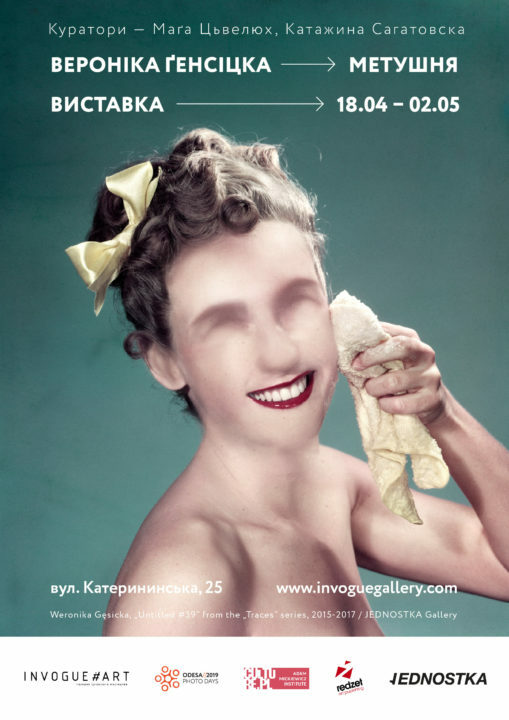 Its history is partially connected with Odesa Photo Days, due to the exhibition “Kharkiv 18+” that took place in 2017 and its curator Serhiy Lebedinsky — a founder of MOKSOP. It presented the works of the representatives of Kharkiv School of Photography. This event became the forerunner of the further evolution of this collection into a museum project. Odesa Photo Days organizers and MOKSOP team will to raise Ukrainian art and believe that such projects play a great role in development of the local photographical context. “Transit” exhibition is a reflection on modern socio-political changes in Ukraine, rooted in the processes of previous years. The scenes presented in the works are mainly eastern regions — Kharkiv, Donetsk and Lugansk in 1980-1990s. A certain parallelism between the transient nature of those decades and the present crisis leads to the analysis of the previous situation. It is created with the help of absolutely opposite photographic techniques – disarming documentary of Chekmevov’s photos and ironical, but filled with existential anxiety coloured photographs of Kochetovs. This border gives birth to the expressive perspective, which contains the authors’ personal attitude to the reality connected with historical context – the past, which affects directly our present and future reality. The curators Serhiy Lebedynskyi, Oleksandra Osadcha, Kateryna Radchenko. Morning coffee with the participants of “Transit” exhibition will be at 12:00, on April 20, in 4City. Victor and Serhiy Kochetov — father and son, representatives of Kharkiv School of Photography, who lead photographical chronicle of the Eastern Ukraine starting from 1970s. Working as journalists from the soviet times, Victor and Serhiy started to create art-photography “for themselves” alongside with the “official” picture. One of the peculiarities of their works is manipulations with images with the help of colouring, toning and bringing texts on the image. Oleksandr Chekmenov — documentary photographer. He was born and spent his youth in Lugansk. Oleksandr took photos of his environment, miners’ work and the streets of his city. His photographs give a unique insider’s view on life of Lugansk and Donetsk regions in 1990s.